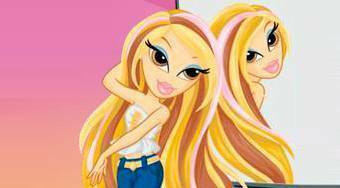 Do you like Bratz Makeover Game? Share it with your friends. In the beginning of this game, you choose one from four young and beautiful ladies. Your task will be to dress her in a way that she becomes a visual star of the party. First deal with the hair, then choose a suitable make-up and nails. Finally choose the optimum glitter.